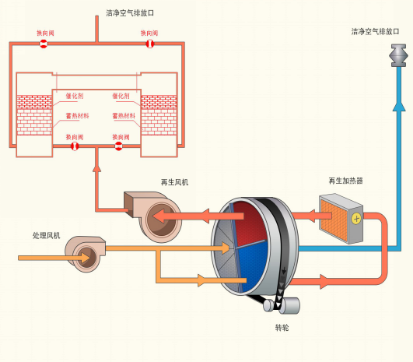 How to treat low concentration with large air flow waste stream? Shanghai Anjule has patent designed solutions with the zeolite concentrators to reduce the air flow of the pollutant and concentrate the VOCs before the RTO treatment. Improve the removal efficiency, reduce the operating cost while meeting the regulations. This is a leading technologies in treating VOCs and HAP. Anjule technology can be applied to work with the process specifications. 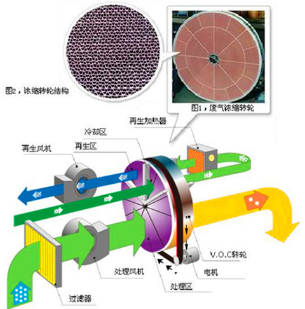 For example, emission from coating industrial has the characteristic of high air volume: the waste gas was sent to the G-vortex column to remove particulate. 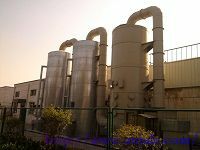 After the dehumidifier process, the waste gas was sent to a specially designed filter before entering the rotary concentrator for VOCs adsorption. The removal efficiency can achieve VOC removal efficiency above 90%. A system fan was installed to release the cleaned air, which is in compliance with the regulations. The air stream then transfer to the RTO for further treatment. Anjule G-vortex column has a unique vortex structure, purify and remove the paint organic substance from gas. The advantage: 1. Avoid the blockage of the packing media; reduce the operating cost; and achieve high removal efficiency of VOC substance. Minimize the accumulation of the paint substance on the rotary and at a result prevent fire hazard. Aujule has set up a laboratory and an engineering center for the design of the exhaust gas VOC treatment. The rotary wheels are imported from Japan; the VOC compounds removal rate are measured in a laboratory to ensure the successful treatment for the environmental projects. The advantage of our rotary concentrator: small size, convenience, low pressure lost and work continuously to concentrate low VOC concentration waste gas. The rotary processed gas has a high concentration of VOC with less volume and therefore reduce the amount of the waste gas for the RTO treatment. Patent designed of Anjule GRTO has put the fire, explosions and other safety factors into fully consideration. The operation of the GRTO is steady, safe and reliable. GRTO control system equipped with software and hardware interlocks, through temperature, pressure responses, the system reacts immediately to the safety control of the system. Effectively，protect the safety of the system . RTO control system uses PLC, installed inside of the control panels; equipped with flame intensity detector, temperature controllers, alarm, reset, on and off switch, emergency stop, and a recorder; RTO system works seamlessly with the production line without interfering to the existing production. 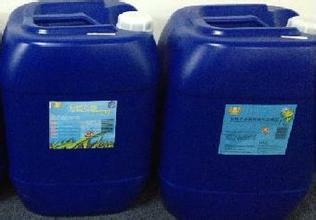 Lower operating cost can be achieved with high VOC concentration in the waste stream. 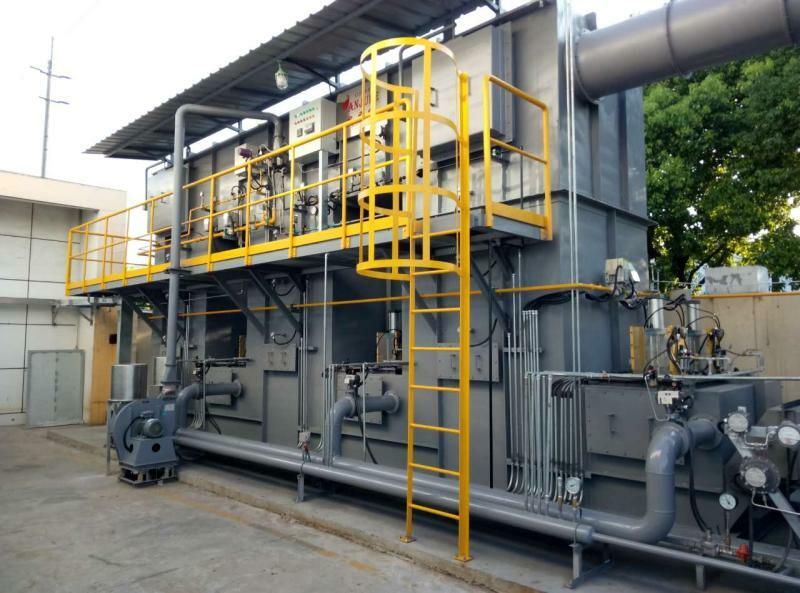 Using a rotary concentrator to reduce the volume of the waste gas is a feasible way in decreasing the cost.